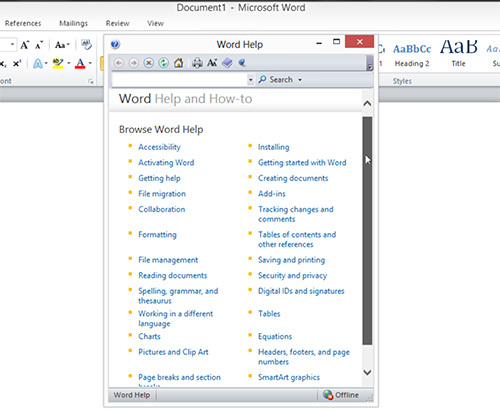 In this video tutorial we will show you how to start Word help. In order to start Word help you must open a Word document. Go to the “File” menu and select “Help”. 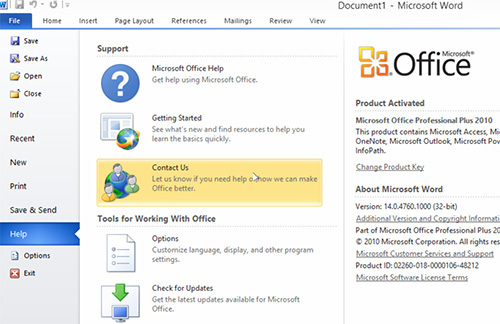 In the support menu choose “Microsoft Office Help”. In the following window you can get all nesessary information by choosing a topic or use a search to find an answer quickly.